Hi Penny, I just found your reviews of my books. Thank you so much! I’m glad you enjoyed them. Thanks for spreading the word! It’s a cute one, Erik. Hope your library has it. Oh this one is on my list. 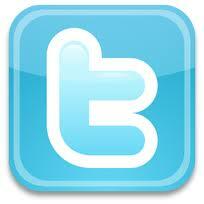 I LOVE your activity. Have a great week. I think the activity would be appealing to kids. Heck, I think I would love making a puddle map! You have a great week, too! Aw! This book looks so cute, Penny! And I love the language – it would be so fun to read aloud! Thanks so much for sharing this one! Yes, perfect read-a-loud and one to study for fun language. How adorable is that cover! A must have for every little kid as they love puddles! Putting this one on my to-read list! Hope you enjoy it, Buffy. I think you’ll find it charming! Pugs, pigs and puddles, Oh Yes! Pretty perfect, huh? Thanks for stopping by Joanna. Normally I shy away from alliterated characters, but Percy is adorably illustrated and the excerpt left me desperate for more. Thanks, Penny. That’s so funny that you shy away from alliterated characters…I am drawn to them. That’s one of the many reasons I like PPBF…there is such a nice variety of reviewers and I learn about books I probably wouldn’t have picked up if it weren’t for my PPBF pals. Hope you enjoy the book, Joanne. Love it! “deeper-than-a-doggy puddles” Hilarious! I’d some rumblings about this book. Now I’ve got to get it. Thanks! That is one of the cutest lines, although there are a slew of cute lines in this book! Hope you enjoy reading it. I see pugs everywhere (not at all like seeing dead people) but never would have thought of this untapped market and fun story! Since I like Kim’s other books, this is on my have-to-read-it list. Ha! You’re hilarious, Wendy! Isn’t Kim great? Such a talented writer. Hope you find this one soon. This sounds adorable. I will definitely check it out. Thanks for the review. I do find it adorable, Rosi. I hope you found it. I’m of the opinion that it’s one of those that everyone will enjoy. Pug and pigs? Punascious mother? Oh, yeah! Putting it on hold now. Thanks, Penny! Oh goodie! I’m glad you were able to put it on hold! Hope you liked it. I’m so glad you found it at the library and loved it, too. I thought you would 😉 And the resolution is great! What a very entertaining story with great rhyming and a wonderful plot. Kids will really have fun with this story. You know how to pick them! Thank you, Pat. I do read a lot of books before deciding one is “worthy” of PPBF. I imagine you do the same before you pick one because you know how to pick them too 🙂 That’s probably my favorite thing about PPBF….I get to read a lot of PBs in order to make my choice. Penny, This sounds wonderfully cute. 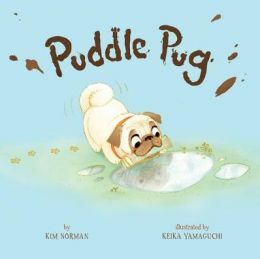 What kid wouldn’t love a book about a pug who likes to splash around in puddles? Great review! I agree. I substitute in kindergarten quite a bit and I can see them wanting to hear this one over and over again. This sounds like my kind of book! Thanks for sharing! Oh dear – a pig pug conflict? This sounds cute. Like you, I just love IF IT”S SNOWY…! If you love IF IT’S SNOWY, Cathy, I’m betting you’ll be taken by this one, too.